Robust and durable fences. Modern metal fences. Gabion fences. Fences made of perforated sheet and galvanized steel. Modern steel palisade and louver fencing. Metal and wooden fences. Wrought iron fences. Panel fences. Segment concrete fences. Fences made of architectural concrete. Split concrete fences. Modular fences. Fences made of concrete prefabs. Fence posts. Precast concrete foundation. Accessories for fencing panels. 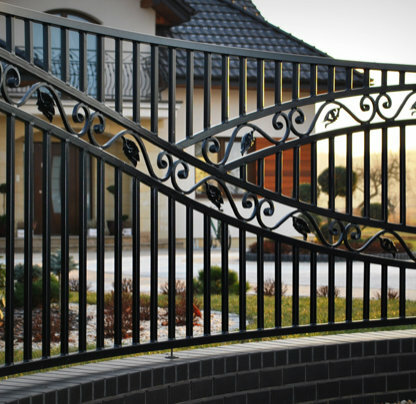 Modern and exclusive wrought iron fences. Unconventional designs of gates and fences. Modern steel fences, gates, spans, wrought iron railings. Forged fences with wood. Leaf and sliding fence gates with drive. Hammered gates, metal, panel. Automation for gates . Gates and fences to any dimension. The company Pszczółka – Ogrodzenia is a family company founded in 1988. The headquarters of our company is located in the small village of Brzeźnica, located between Bochnia and Brzesko in the Lesser Poland voivodship. At the beginning, the company’s offer focused on the production of a fencing mesh, we are now able to comprehensively perform almost all types of fences and gates equipped with a gate automation drive. Our fences and gates fulfill not only the functions of land protection, providing our customers with a sense of security, but also give a unique and exclusive look that characterizes the property. Many years of experience gained over 25 years allows us to provide professional advice and professional service in the field of comprehensive fencing, even in unusual and difficult conditions related to terrain. We manufacture, for every dimension, sliding and tilting entry gates – for industrial and private premises. For entrance gates we offer a comprehensive gate automation assembly service. In our offer you will also find solid and durable, as well as modern palisade and shutter fences, which are very popular. Traditional and modern forged fences that can be filled and combined with wood. Panel fencing is an excellent and aesthetic solution of fencing systems for private and industrial properties. Metal fences and gates made of profiles joined together in different compilations or filled with perforated or laser-cut sheet metal. Permanent concrete fences occurring in split, modular, segmented or prefabricated architectural concrete blocks. Robust and corrosion-resistant fence mesh, which is a traditional solution in the galvanized and coated version. Another type of our offer are wooden fences (wood-metal), which can be made of natural wood, composite or modern polymer wood. A modern and exclusive type of fencing are also gabion fences, which can be filled in various ways with various types of aggregates or other raw materials. 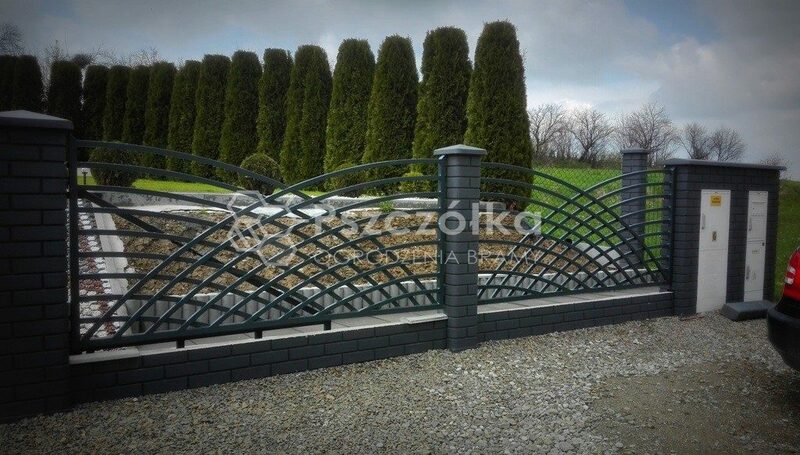 In Brzeźnica, in the headquarters of our company, we sell fencing elements, ie fence mesh, panels and fence posts, precast concrete foundations, wires and all necessary accessories needed to make the fence. We approach each client individually, we offer assistance in the field of professional consultancy, considering even unusual technical solutions related to the terrain. We make a free measurement and valuation of the fence. At the customer’s request, we design and visualize, which will greatly facilitate the selection of the gates and fences pattern. We provide a written guarantee for products and services, we also provide post-warranty service. Our projects can be seen in the cities of Krakow, Wieliczka, Skawina, Niepołomice, Bochnia, Brzesko, Tarnów, Dębica, Nowy Sącz, Limanowa and Zakopane. We mainly provide our services in the area of the Lesser Poland voivodship. We cordially invite you to familiarize yourself with the full offer and to see a gallery of photos from our projects. A large group of satisfied customers have already trusted us, you can join them and enjoy the impressive fence for many years. We present you with another implementation of fencing made of metal profiles. The scope of works included the construction and assembly of spans, wickets and a sliding gate with gate automation. Prior to the implementation, the project was carried out together with the visualization, which was positively approved by our client.